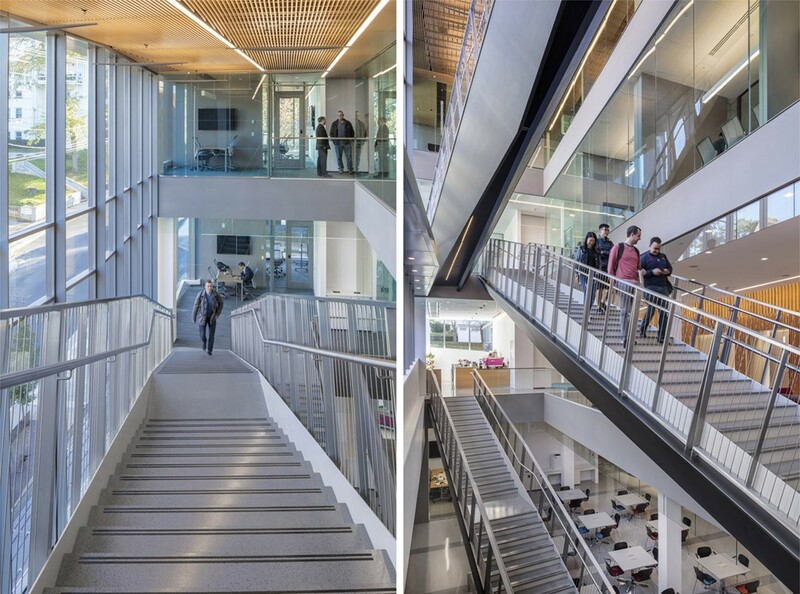 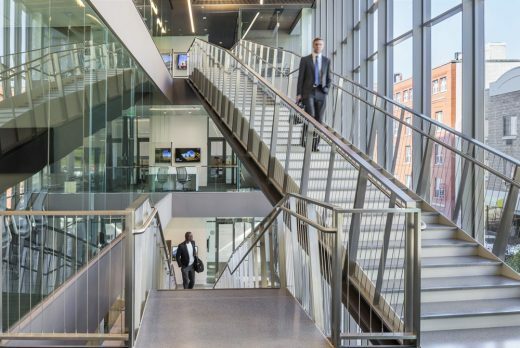 Located in the Collegetown section of Ithaca, New York, one block from the Cornell University campus, the Center for Business Education is a seven-story, 76,000-sqft, 21st Century teaching and learning environment. 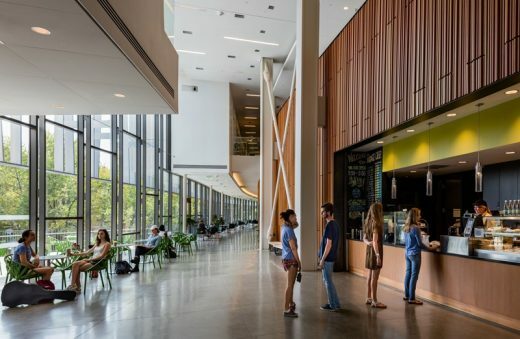 Sophisticated, interactive classrooms are supported by breakout rooms, faculty and student offices, as well as commons and social spaces. 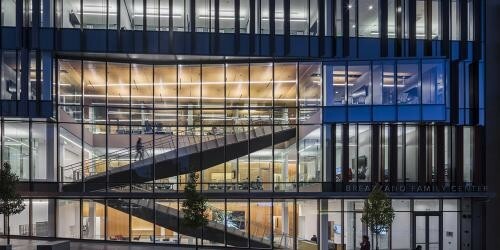 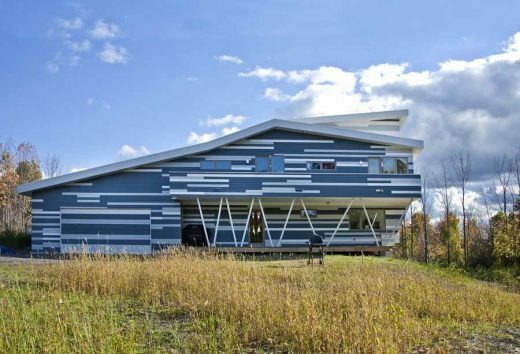 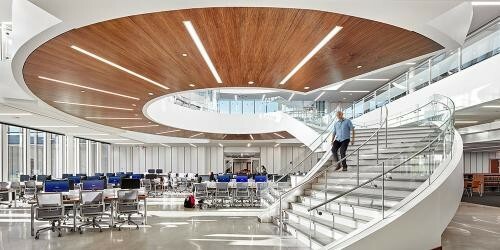 The building accommodates two 90-seat tiered classrooms, two 75-seat tiered classrooms, a divisible, flat-floor classroom for 120 students, and commons and event spaces on the first three floors and a spatially-connected lower level. The Center’s top three floors provide enclosed offices for faculty and administrators, open office work stations, conference rooms and team rooms, and two broadcasting and recording studios. 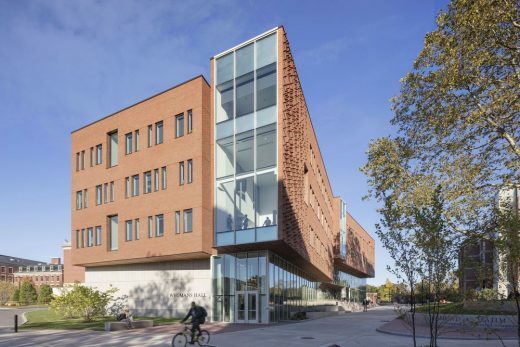 The building façade is a combination of clear and patterned glass with a rhythmic arrangement of angled and straight projecting mullion-fins, colored compatibly with the salmon-orange brick of its neighbors. 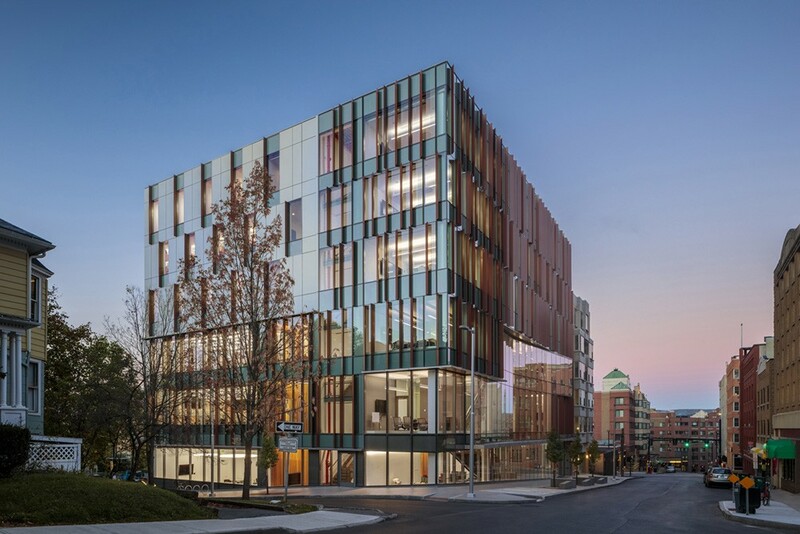 The transparency of the ground floor and the active learning commons, highlighted by an undulating feature wall of wood slats and video screens, engages the adjacent public street. 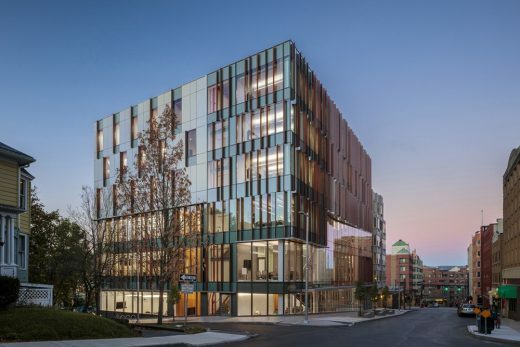 The variegated patterns on the facades reduce the scale of the building, and the setback upper floors are rendered in dark metal to differentiate upper from lower and facilitate a relationship with the smaller scale of adjacent buildings.